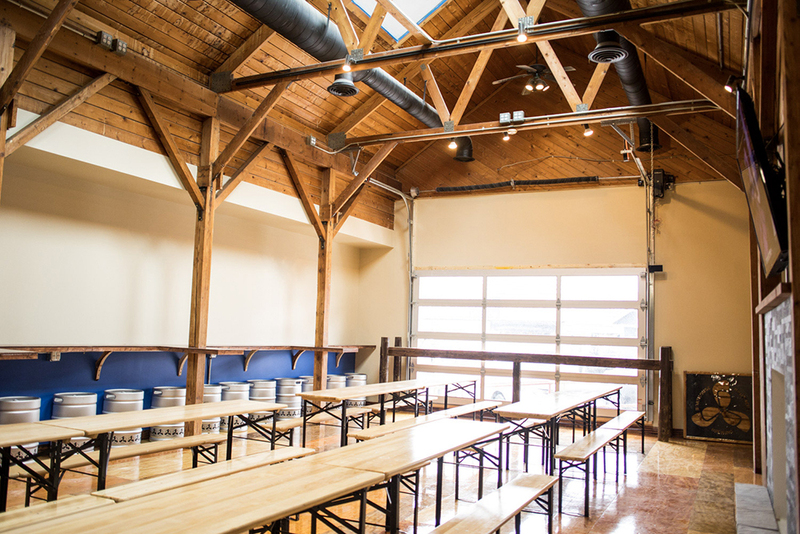 Now Open (Or Damn Close): Boathouse Brothers Brewing Co. When Emmett Swartout was just a boy, his dad received a Mr. Beer kit as a present. Swartout was so excited to work on the process with his dad, until he realized the end result would be something he wouldn’t be allowed to drink. 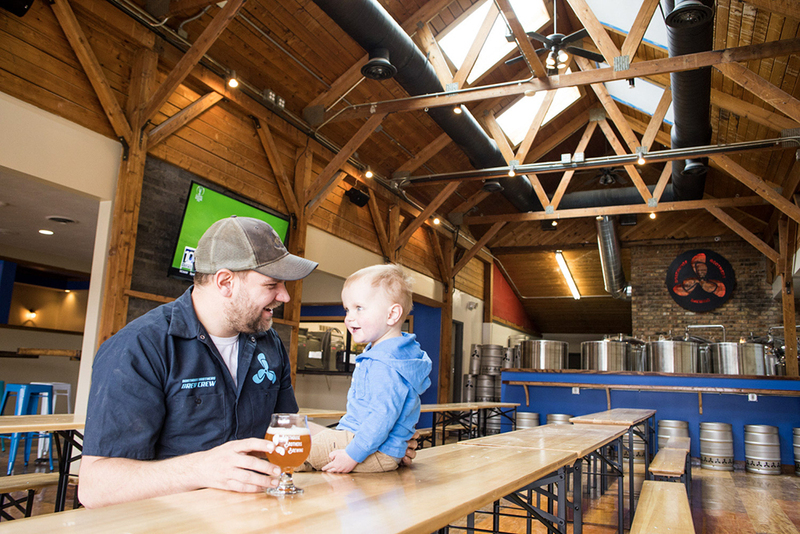 Fast-forward a couple of decades, and Swartout is not only able to drink beer, he’s brewing his own at Boathouse Brothers Brewing Co.
After the initial turnoff to beer due to the childhood disappointment, it took some time for Swartout to venture into the beer world. Regular visits to Old Chicago and participating in their beer tours are what got him hooked and helped educate him on the wide variety of styles and flavors. Three years ago, with a dream of opening a brewery dancing in his mind for over a decade, he ran into his longtime friend, Kevin Lethert, at a birthday party. They had met 15 years prior when Swartout tended bar at Breezy Point, and Lethert, staying with his family at the resort, was a customer. After a quick conversation with Swartout at the party, Lethert agreed to come aboard, officially setting things in motion. But the process hasn’t all been smooth sailing. “True to the nautical theme, everything comes in waves,” says Swartout, admitting progress has been a bit rocky at times. Despite this, they’re both thrilled to be approaching the grand opening the weekend of April 20–21. Summers for Swartout were mostly spent at his grandparents’ boathouse in northern Minnesota. 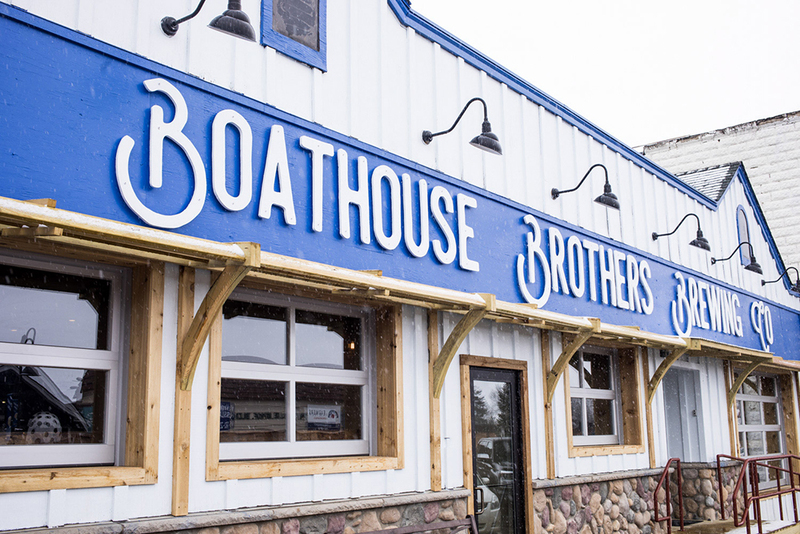 This experience informs nearly all of the choices in creating the atmosphere at Boathouse Brothers. The logo is a boat propeller, seating options include benches from an actual pontoon boat, the tap handles strongly resemble the floating keychains used for watercraft, and the floor around the bar area is painted in such a way that, with the lighting beneath the bar illuminated, it gives the strong sensation that you’re floating on a body of water. They intentionally included a variety of seating spaces, from the aforementioned pontoon boat to bar seating to tables with a more communal feel so that people from all walks of life will feel they have a place that belongs to them. The nautical theme even extends to their beer list, with their standard beers always on tap referred to as “anchors,” while their experiments and rotational beers referred to as “buoys.” Lethert’s beer palate tends to be on the “less exotic” side, he says, so it’s important to him to create easy-drinking beers for their guests alongside those with bolder flavor profiles. So, while they plan to brew IPAs and Belgians, they also will open with a cream lager and amber ale on tap. Swartout and Lethert want to have each beer on tap tell a story or have some playful symbolism behind it. One example of this is with their Limnion Cream Lager and Thermocline Cream Ale. 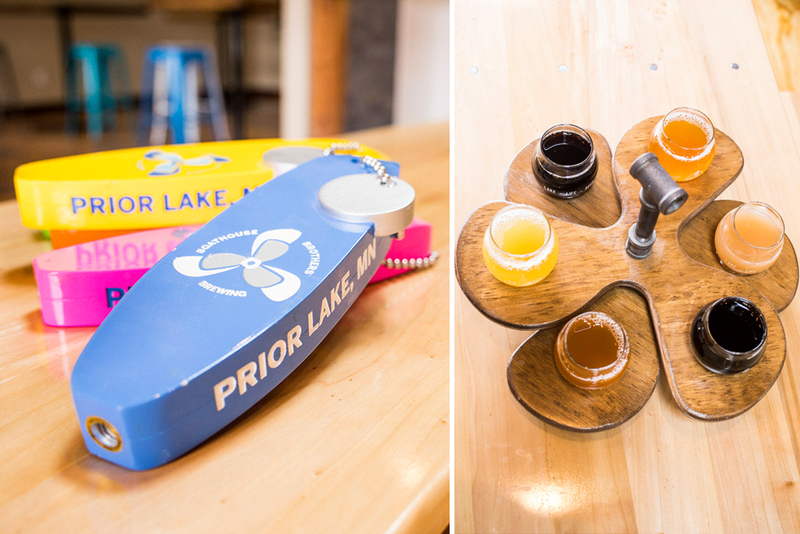 In creating these beers, they imagined the sensation of jumping off a pontoon boat and feeling the different water temperatures. Then, when brewing, they followed the exact same recipe, except fermented them at different temperatures and with different yeasts to create the final products. The duo hopes to pair with some of the local restaurants to have their beer on tap, while at the same time encouraging their customers to bring food in from these same restaurants. They also plan to bring food trucks on site. When asked about their feelings about the upcoming opening, their energy and excitement was palpable. “We’re just excited to finally get the doors open and see people’s reactions after telling them it will be ‘soon’ for so long” said Lethert.